Barnet 2 Morecambe 0, 16/12/2017. The Hive, League Two. 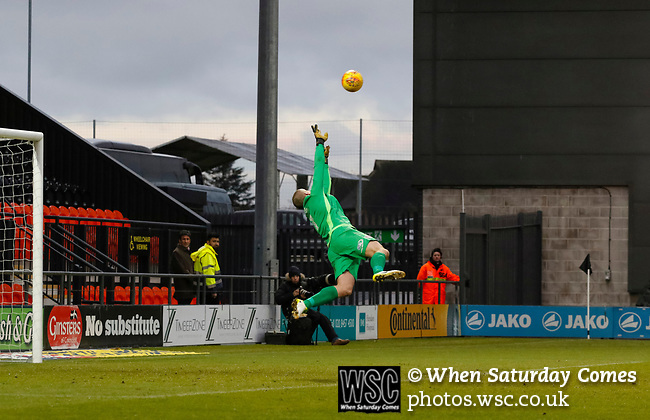 Barry Roche of Morecambe can't stop a shot from Barnet's Jamal Campbell-Ryce flying into the goal. Photo by Paul Thompson.